Combining our top quality grill mats with our easy-to-use digital cooking thermometer, AllerTOP Grill Set enables you to cook your food perfectly EVERY TIME. We have moved all our stocks to Amazon so that you could have free shipping if you are an Amazon Prime member. 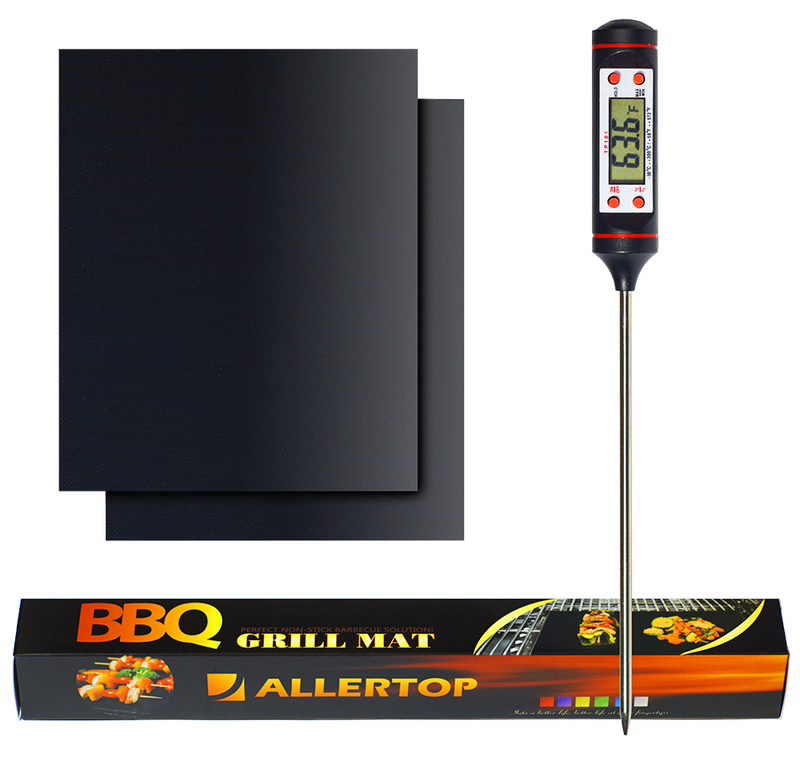 AllerTOP BBQ Grill Mat at 0.3mm is twice the thickness of most our competitors’ products. Meanwhile, it has the highest heat transfer efficiency making your cooking safe and easy. Its large size can cover most Build-In Grills and they can withstand temperatures up to 500 degrees Fahrenheit (as a reference, paper burning Ignition temperature is 451 degrees Fahrenheit). The BBQ Grill Mats can be used for any type of grills like electric, gas, propane, coal, charcoal, and wood as well as for indoor ovens as a baking mat for making your favorite food and dishes. The mats are dishwasher safe and can be easily cleaned by hand. 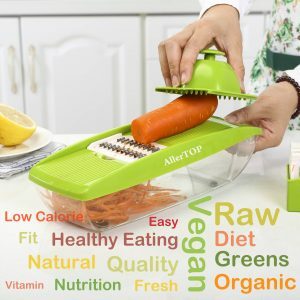 AllerTOP Digital Meat Thermometer is made Ideally for grilling, smoking, baking, frying, broiling, and roasting all types of food as well as brewing your favorite beer and wine. Capable of measuring the temperature from -58°F to 572°F (-50°C ~ 300°C), accurate to ±1℃ (±2℉). It has Auto-Power-Off, °F/°C switching, Holding and Max/Min readings.